In June, Leslie traveled with a group of colleagues to Nepalto help a local town open their first Pediatric and Neonatal hospital. The PatanHospitaldesperately needed the help of trained professionals, such as Leslie, to facilitate the successful opening of the new center. The work began on the flight to Nepal, as a local political figurehead suffered a heart attack on the plane. The medical team performed CPR, but was not able to revive him. Their efforts, however, were highly appreciated by the local people. 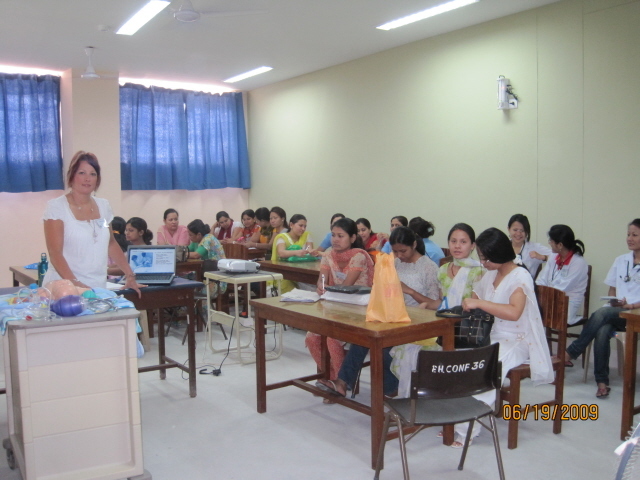 Leslie spent three and a half weeks in Patan with an excellent staff of professionals. 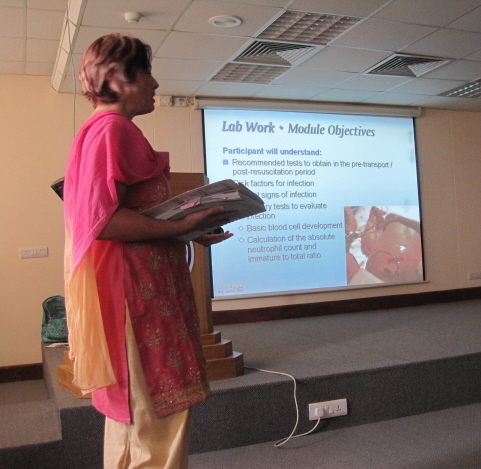 The first two weeks were consumed with training critical areas of neonatal care and equipment operation to the local staff. This was an enjoyable experience for t he medical team, as everyone was eager to learn. During the final week in Patan, Leslie and her co-workers helped the local staff receive their first patients. The team reviewed the hospital’s procedures in areas such as charting and ventilator operation. By the end of the last week, the hospital had three patients. Leslie enjoyed the experience and was able to get a taste of the local culture. While in Nepal, she wore traditional clothing and enjoyed traditional cuisine. The trip did not come without some difficulties however, as contact with local water or improperly prepared meat meant the possibility of violent illness. This was, unfortun ately, something Leslie experienced firsthand. Leslie’s most memorable moment came from her interaction with the mother of a sick child. Leslie was able to teach the apprehensive mother ways to interact with her child so that she may continue to show him the love he so desperately needs. The hospital was very grateful for the work of Leslie and her co-workers and they invited everyone to check in with them as they continue to grow and learn.